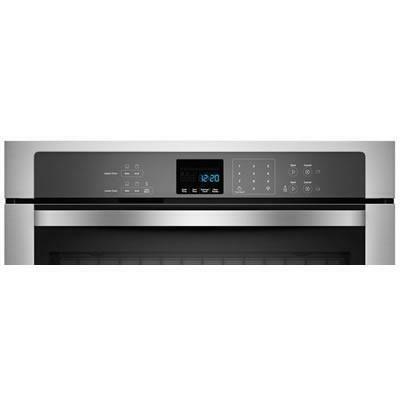 Add a sleek, modern accent to the kitchen with the 5.0 cu. ft. double wall oven and the new EasyView™ extra-large oven window. 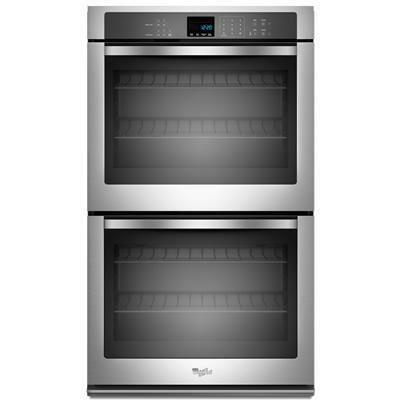 Its extra-large design not only looks great, but also saves energy and keeps oven temperatures steady and undisturbed. Thanks the AccuBake® temperature management system's built-in sensors, the oven also monitors temperature and the cooking elements to deliver consistent baking, even on multiple racks. Thanks to the FIT system, now your wall oven can fit seamlessly into your current cabinet cutout with minimal modification1. Its flexible installation system provides various options that are designed to effortlessly suit your decor. Total Capacity 10 cu. ft. / 0.28 cu. m.
Main Oven Capacity 5 cu. ft. / 0.14 cu. m.
Secondary Oven Capacity 5 cu. ft. / 0.14 cu. m.
Warranty For one year from the date of purchase, when this major appliance is operated and maintained according to instructions attached to or furnished with the product, Whirlpool Corporation or Whirlpool Canada LP (hereafter "Whirlpool") will pay for Factory Specified Parts and repair labor to correct defects in materials or workmanship. 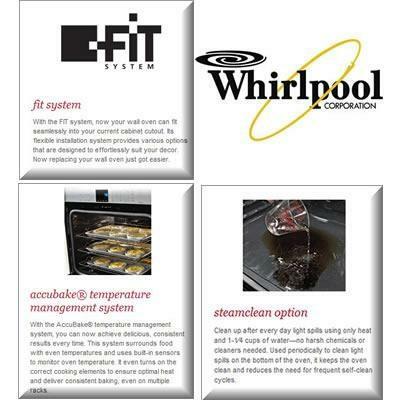 Service must be provided by a Whirlpool designated service company. 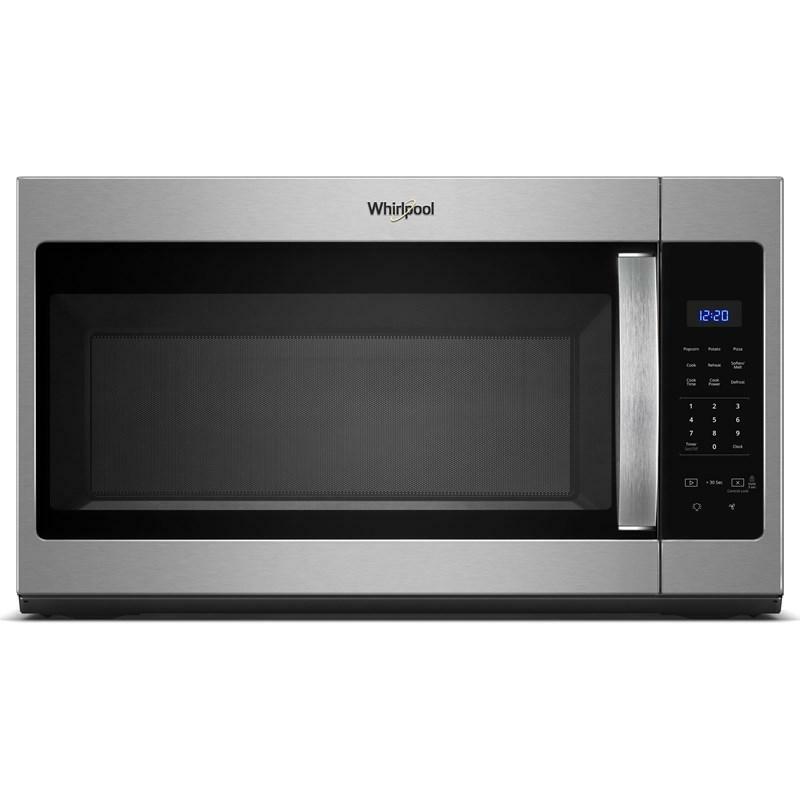 This limited warranty is valid only in the United States or Canada and applies only when the major appliance is used in the country in which it was purchased. Outside the 50 United States and Canada, this limited warranty does not apply. Proof of original purchase date is required to obtain service under this limited warranty. 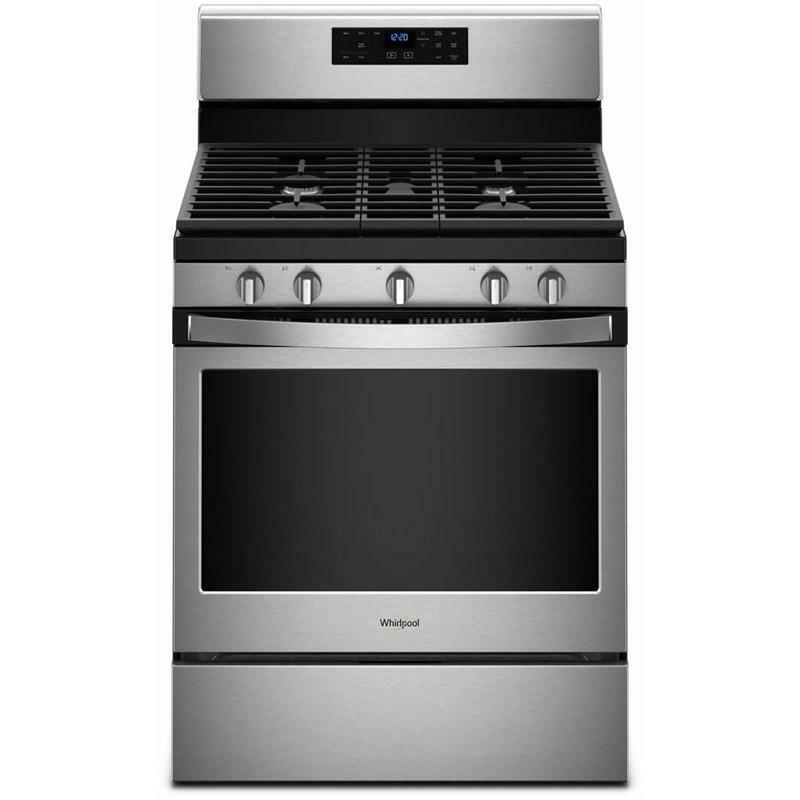 Whirlpool 30" self-cleaning freestanding gas range featuring Frozen Bake™ technology, a 15,000 BTU SpeedHeat™ Burner and an upswept SpillGuard cooktop that has raised edges to help contain spills. Capacity (cu. ft.): 5.0 cu. ft. 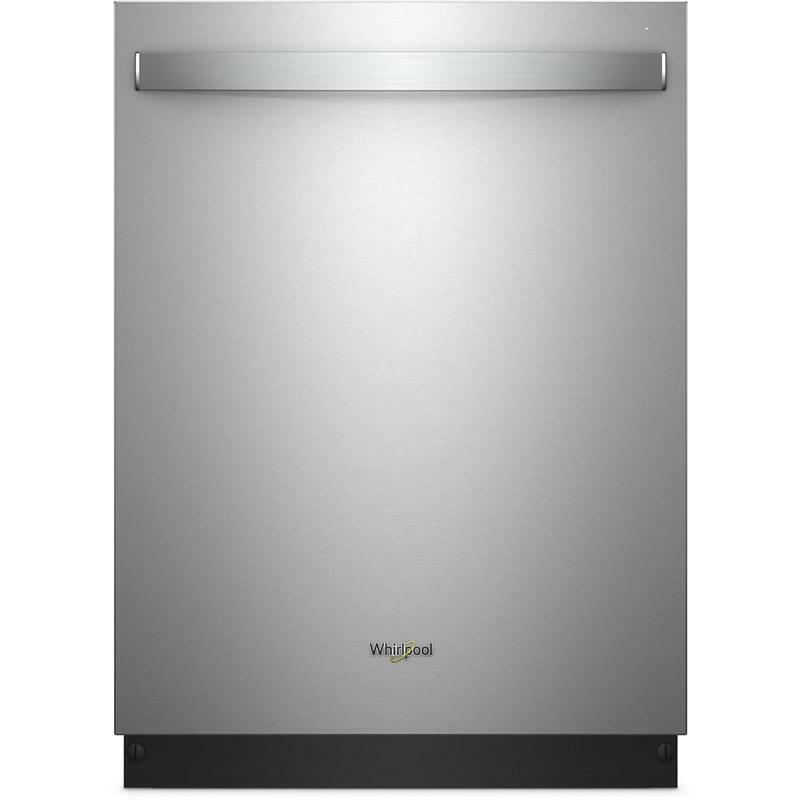 This Whirlpool 24" dishwasher features 5 wash cycles, 6 options, a stainless steel tub and can fit up to 15 place settings. Whirlpool® 36" wide counter depth French door refrigerator featuring auto-humidity crispers, a pantry-inspired layout and an Infinity slide shelf. Total: 24 cu. ft. / 0.68 cu. m.
Capacity: 1.7 Cu. Ft. / 0.05 cu. 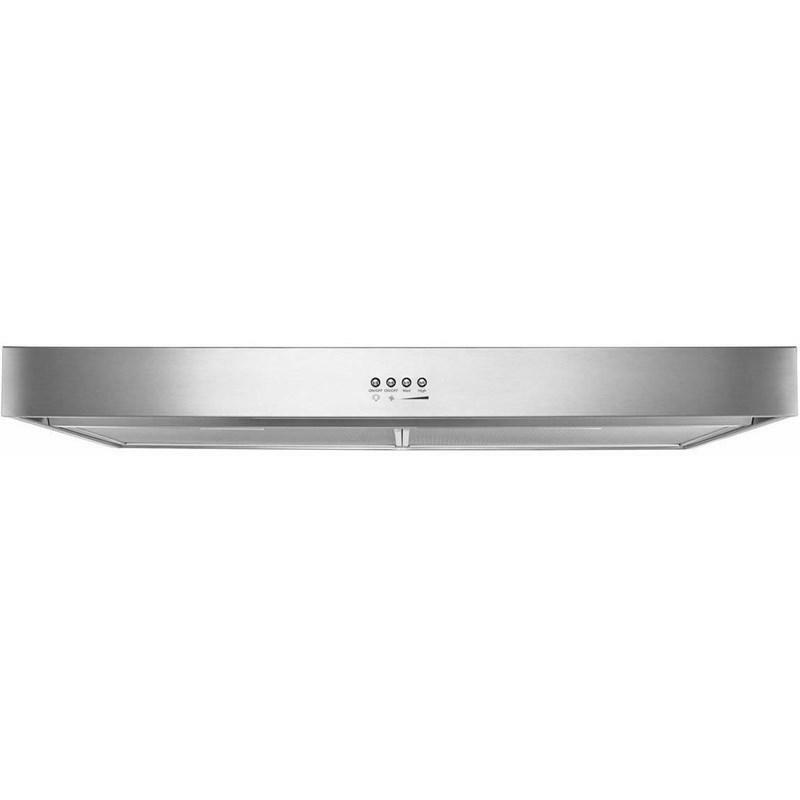 m.
Whirlpool 24" range hood featuring the FIT system which eliminates measuring, cutting and trim for a perfect fit every time, dishwasher-safe full-width grease filters and LED task lighting. 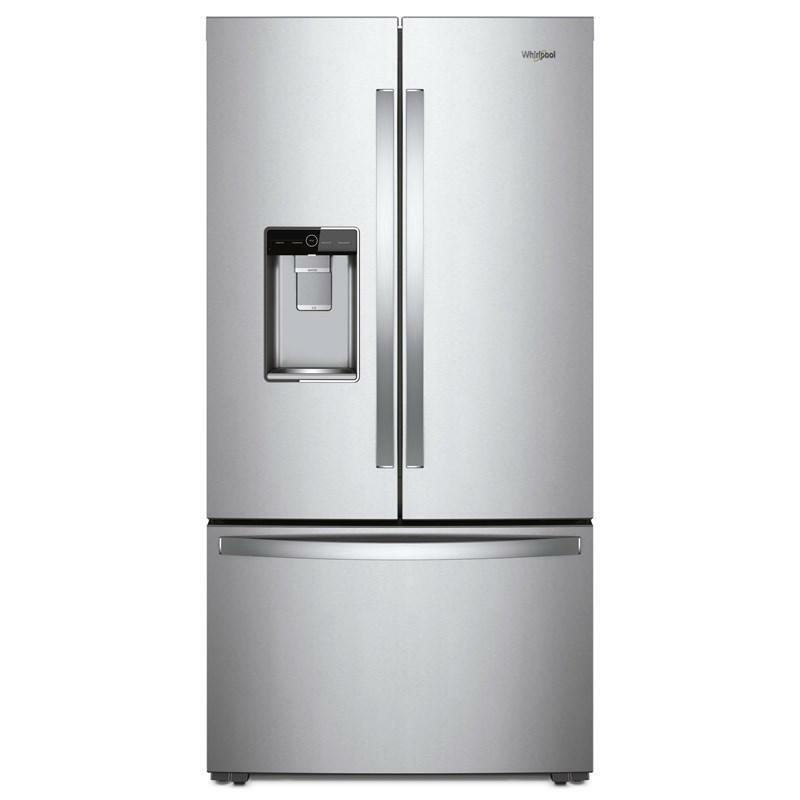 Whirlpool Gold® 15-inch ice maker with reversible door. 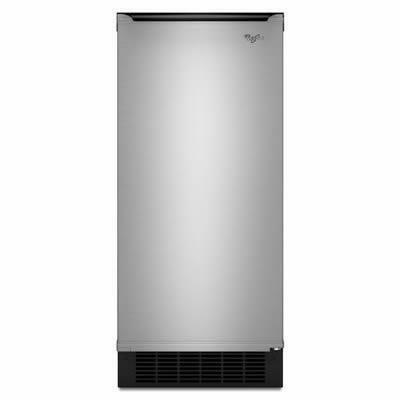 This ice maker makes up to 50 lb of ice every 24 hours with fast ice feature. The Easy-to-Access storage bin features a handy ice scoop. 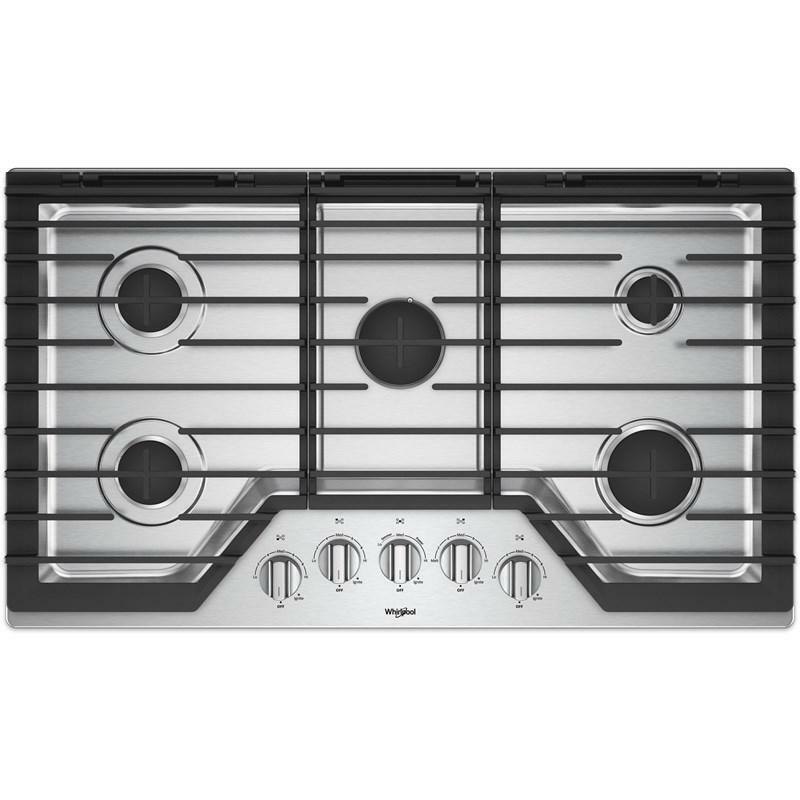 This 36-inch Whirlpool gas cooktop features EZ-2-Lift™ hinged cast-iron grates, SpeedHeat™ burner, AccuSimmer® burner and dishwasher-safe knobs.